It’s time to shake off those Winter blues and join us as we celebrate all that goes on “behind-the-scenes”. Here at Warwick, we could not be more excited to launch into a brand-new season of design with the hotly anticipated release of our June collections. You may be curious about where the inspiration behind each collection comes from, and with so many sources of inspiration around us, it is hard to pick just one! So, be inspired by the playful prints, Batik weaves, tactile textures, painterly designs and captivating colours of our new collections! With such a wide range of contemporary and traditional aesthetics on offer, there is something to suit everyone’s sense of style, giving you the ability to transform your interior into a haven of colour and design! The perfect balance of repetition and scale, TOSCANO is a bold collection that offers a captivating fusion of traditional and contemporary. Mix and match to your heart’s content with a selection of carefully curated designs, from a classic Rococo Era inspired damask and ethnic Batik to zig zag geometrics and chunky textured plains. Boasting a beautiful vintage aesthetic that will add charm and personality to modern interiors, TOSCANO’s contemporary colour palette and transitional designs exhibit effortless style with a unique urban twist, while a thick tactile finish will bring a relaxed mood that is perfect for rustic and textured upholstery. Bold, playful and eternally youthful, NOLAN is a colourful collection with retro roots. Inspired by the vibrant design characteristics and quirky colours of retro fashion and textiles, NOLAN offers a refreshing aesthetic with a distinctive fusion of texture and pattern. Whimsical and joyful, this contemporary collection features a trio of striking designs in which stripes, diamonds and circles come together for a diverse mix and match experience. Made in Australia, NOLAN’s vivid design style is available in a kaleidoscope of colours, making it the perfect collection for tailored sofas and textured scatter cushions. Boasting plush chenille yarns and a delightfully tactile finish, NOLAN will bring creativity and flair to modern interiors seeking casual comfort with a sleek, stylised vibe. Drawing inspiration from the shape and movement of traditional Batik textiles, BIANCA’s modern watercolour effect offers a contemporary twist on classic design style. With a charming aesthetic that is eclectic and unique, BIANCA is an Australian made collection that boasts sophisticated style. Featuring dry woven textures and a dreamy selection of painterly designs, this multi-tonal collection is fresh and modern with a heritage feel, making it the perfect fabric for transitional interiors. Whether it’s feature pieces like sofas and bedheads or subtle accents on scatter cushions and armchairs, BIANCA’s charismatic designs can be paired with natural tones and wooden accessories to create a breath of fresh air with old world charm. Gorgeous watercolour prints are the key feature of this vibrant collection, in which a unique design style is met by an array of striking contemporary colours. Designed in the Warwick Melbourne studio, EUPHORIA offers a truly distinctive aesthetic with an artistic mood that is relaxed, casual and effortlessly urban. Presenting a fusion of abstract florals and organic geometric patterns, EUPHORIA’s dual-purpose characteristics and natural fibre content make this collection the perfect fabric for flowing drapes, tailored furniture and bold accents on lampshades, cushions and ottomans. Let your unique sense of style come to life with EUPHORIA, a celebration of whimsical watercolours in a refreshingly modern context. Sources of inspirational images (left-right): Bjoernar Aaslund, Heather Day, Celine, Abstract watercolour, Kamperett, Pop & Scott. Drawing inspiration from the textured rugs, baskets and textiles that can be found in ethnic markets across Africa and India, ORTEGA pays tribute to multicultural design with striking herringbone geometrics and organic hexagon patterns. A fashion forward collection that lends itself to the ever-popular tribal trend, ORTEGA’s transitional aesthetic will bring a vibrant flavour to any space without compromising on quality. Protected by the HALO characteristics of high performance and easy cleanability, this dynamic collection is daring and decorative yet inherently relaxed. Whether it’s a bold feature piece or a quirky collection of mix and match cushions, ORTEGA’s plush textures, bespoke designs and diverse colour palette of earthy hues will create a modern statement with distinctive tribal flair. So, what’s your pick for the upcoming season? 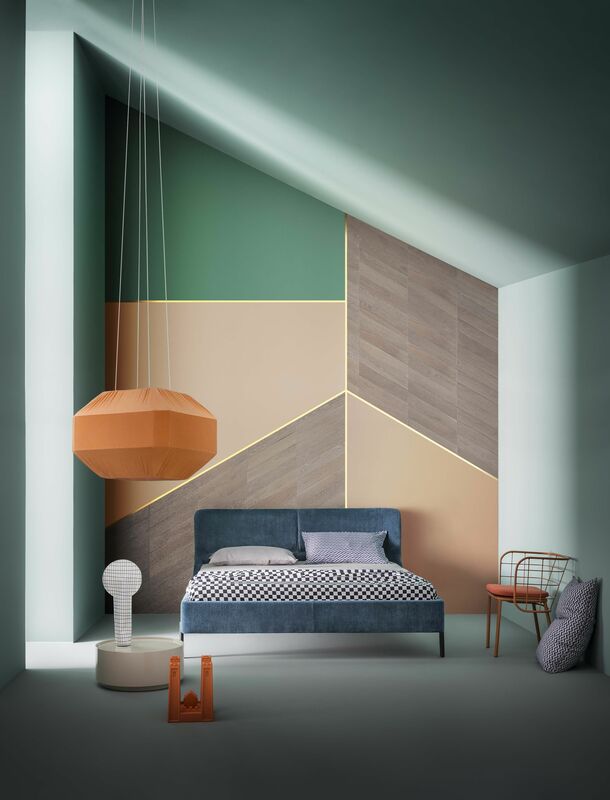 From the bold geometrics of ORTEGA and NOLAN to the transitional designs of TOSCANO and EUPHORIA, don’t be afraid to take inspiration from our mood boards and make each collection feel at home in your very own interior. Categories: Architecture, Art / Design, Colour, Fashion, Interior Design, Textiles.